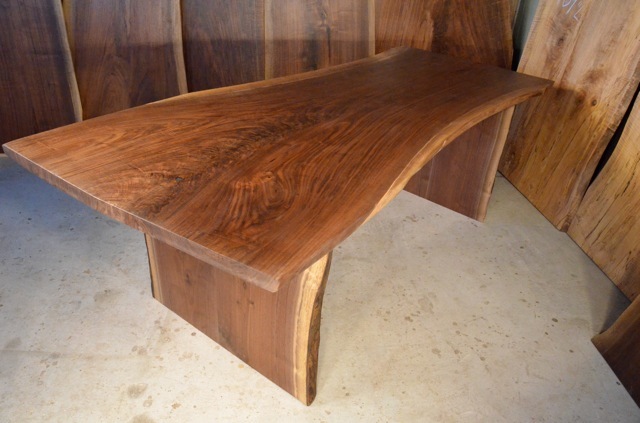 Solid 4ft x 4ft Walnut laminated dining table with 4″x 4″ post legs. 40/34/36″ wide x 90″ long x 1.5″ thick. Size 5′ L x 5′ W x 1.5″ Th. 39/32/26″ wide x 90″ long x 1.5″ thick. 37/29/30″ wide x 90″ long x 1 3/16″ thick.